It’s not just our homes that need regular cleaning and tidying – as our workplaces, too, can become cluttered or even dirty through regular use! Offices in particular are areas where sedentary activity occurs, and they are also home to several people working in one particular area – meaning that limiting infection risks and ensuring that personal space and health is optimised is extremely important. It’s also crucial to safety in the workplace that workspaces and floor are kept clean, tidy and free from dust and debris. After all, it’s in the best interests of a business to keep its employees healthy and happy – as without them, no work would ever get done! Keeping your office and working environment clean and fresh is easier said than done – particularly if you’re yet to consider hiring professional cleaning support for your business. 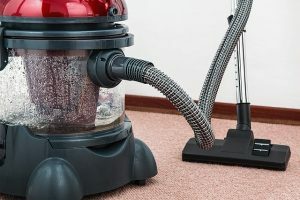 Most people in an office environment will likely only be tasked with jobs related to the running of the business, meaning that while individual employees will of course be required to pick up after themselves wherever possible, ensuring that carpets are vacuumed, surface are clear and that the working environment is as dust-free as possible is a task that few people have time to handle during the nine to five – that is, unless their job is to clean of course! A professional cleaner will be able to ensure that your office is cleaned from top to bottom – carpet cleaning, surfaces and more – during working hours and when less activity is to be expected. Therefore, you don’t have to be flexible when arranging for regular cleaning – as you will always be able to set hours and expectations that are convenient for you and the running of your business. Ensuring that your office is clean, tidy, presentable, healthy and safe for use should be optimal for the running of your enterprise. After all, you not only need to ensure that your business is clear from clutter and dust not only for the sake of your employees, but also for the sake of your business’ standing! If you are looking to entertain potential new clients, partners or even business rivals into your building, it is highly likely that you are going to want to create a fantastic first impression – and a dirty, dusty, cluttered workspace is only going to impact on your image as a brand and as a business. If you’re just starting out in business or are in need of alternative cleaning representation for your office, Sam’s Cleaning and Ironing Services can help. We vet and provide hundreds of talented and dedicated cleaning professionals to attend to any home or business in need of regular cleaning support – and we are confident that you will be able to find a friendly and diligent helping hand to ensure that your office and workspaces are always looking their best. For more information on the professionals we represent, have a closer look at our agency pages or contact us today on 07712 227517!